Kovalam is situated 16 kms from the Capital of Kerala is a city with four sandy bays called Kovalam. 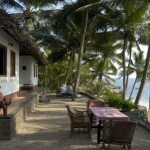 The meaning of Kovalam is ‘groove of coconut trees’. 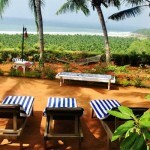 It is a spectacular beach resort which in the 1930’s broke the shackles and emerged as the most magnificent tourist spot in the south.In the earlier days it was a virgin land with not a lot of tourists, but later with the influx of tourists looking for peace & tranquility coming here, there was no looking back. The four sandy beaches are a sight to behold; all the four bays are separated by rocks. Kovalam in Kerala is one of the hottest tourist destinations of the country. The Kovalam Beach lies very close to Thiruvananthapuram with a distance of only 16 Kilometers. The much publicized beach of today was once a tranquil village along the coastline. The Kovalam History tells us the story of transformation of the serene hamlet into a vibrant tourism site.Tourism in Kerala has reached its pinnacle of glory in the recent years and Kovalam is an integral part of the success story. The Samudra Beach, Kovalam Beach, Hawa Beach and the light house beach are what gives Kovalam its beauty. 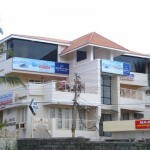 Kovalam is also famous for its Ayurvedic massages and many yoga resorts. 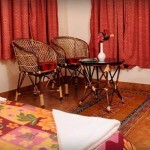 Meditation and herbal body toning are some of the things which travelers are treated to for a rejuvenating experience. A number of cultural programs are also organized along with a catamaran cruise to add to your Kerala experience! The Kovalam climate is pleasant all through the year due to its vicinity to the sea. 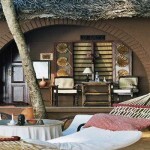 Still the best time to visit Kovalam is during the time between the months of September and March. During the winter months, especially in the Christmas week the temperature goes slightly down. The climate of Kovalam is tropical in nature. During summers the days are quite warm.. But the soothing breeze from the keeps up the mood and charm of the place.The summer temperature in Kovalam varies between twenty degrees centigrade and thirty degree centigrade. Whereas during the winter season the minimum temperature is around eighteen degrees Celsius and the upper limits remain approximately thirty five degrees Celsius .The climate in Kovalam is much affected by the monsoon winds. The place receives heavy rainfall during the two monsoon months.